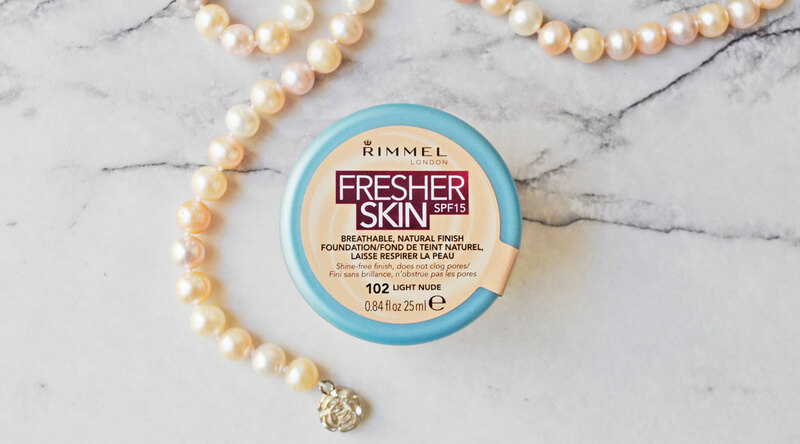 This month Rimmel London launched their Fresher Skin Foundation in Australia. It has been a long time since I’ve used foundation in a jar and to be honest I wasn’t sure whether I was still going to like it. Upon the first swipe, I must say the packaging was the least of my concerns. The formula really impressed me! Thanks to our revolutionary quick-break texture that transforms whilst blending it on the skin from a bouncy water-gel to a refreshing cream – all thanks to clever Japanese raw materials that create the water-gel system. Whilst being sweat & humidity resistant, its ultra smooth and breathable structure doesn’t clog pores or settle into fine lines. I’m really picky when it comes to makeup as I always get oily in my T-zone at the end of the day. What I love the most about this foundation, is it helps mattify my skin without looking dry or cakey. It has light coverage which is great for everyday wear, with the added benefit of SPF 15 sun protection. The consistency is thick yet smooth and blends out easily creating a perfectly even complexion. It feels soft and lightweight on the skin, staying shine-free and natural looking throughout the day. Price: $18.95 AUD – Available in 8 shades. Have you tried the Fresher Skin Foundation? What are your thoughts? If you have combination or oily skin then I highly recommend it 🙂 Hope you are having a wonderful thanksgiving! The colours are super cute! Wow, this looks really natural on your arm, I don’t know that I have ever tried a pot liquid foundation before, the concept is intriguing. Foundations in jars are so old school! I think Max Factor had one? I wonder if this will come to North America – I haven’t seen this here in Canada yet. This looks like a good formula for the Spring / Summer season. I bet they will launch this here once OUR warm weather comes in oh, about another 5 months! 😉 What’s the temperature there lately? The packaging is so old school but it’s growing on me 🙂 The temperature this week is looking nice and warm, around 30 degrees. This is great – I love my new MAC Foundation…..
Its Studio Fix Fluid SPF 15, which is a liquid foundation. The lady at the MAC counter tested it on me, and I looked so much better, and it had that matte effect I have always wanted! plus it looked flawless!